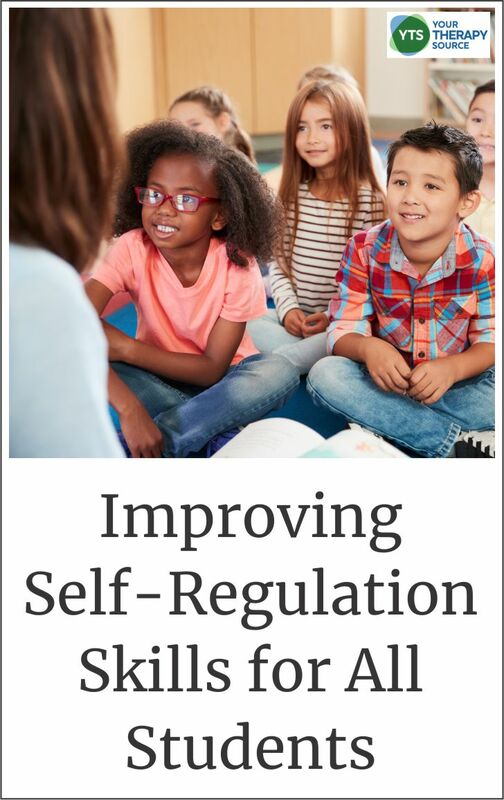 A systemic review and meta-analysis were recently completed on improving self-regulation skills for all students. There is an increasing amount of evidence supports the positive associations of self-regulation skills with health, social and educational outcomes. JAMA Pediatrics completed a systematic review and meta-analysis of rigorously evaluated interventions through July 2016 to improve self-regulation in children and adolescents. In order to be included in the review the studies had to be randomized trials, evaluate universal interventions designed to improve self-regulation in children and adolescents aged 0 to 19 years, include outcomes associated with self-regulation skills, and be published in a peer-reviewed journal with the full text available in English. In total, 49 studies were included for full-text review reporting 50 interventions. 16 of 21 of the curriculum-based interventions. 5 of 9 family-based programs. 4 of 6 social and personal skills interventions. 11 of 13 studies (85%) on academic achievement. 4 of 5 studies on substance abuse (80%). 9 of 9 studies reporting on conduct disorders, studies on social skills, studies on depression, studies on behavioral problems, and study on school suspensions. No effect was seen on 2 studies reporting on academic achievement, 1 study reporting on substance abuse, and 1 additional study reporting on psychological well-being. 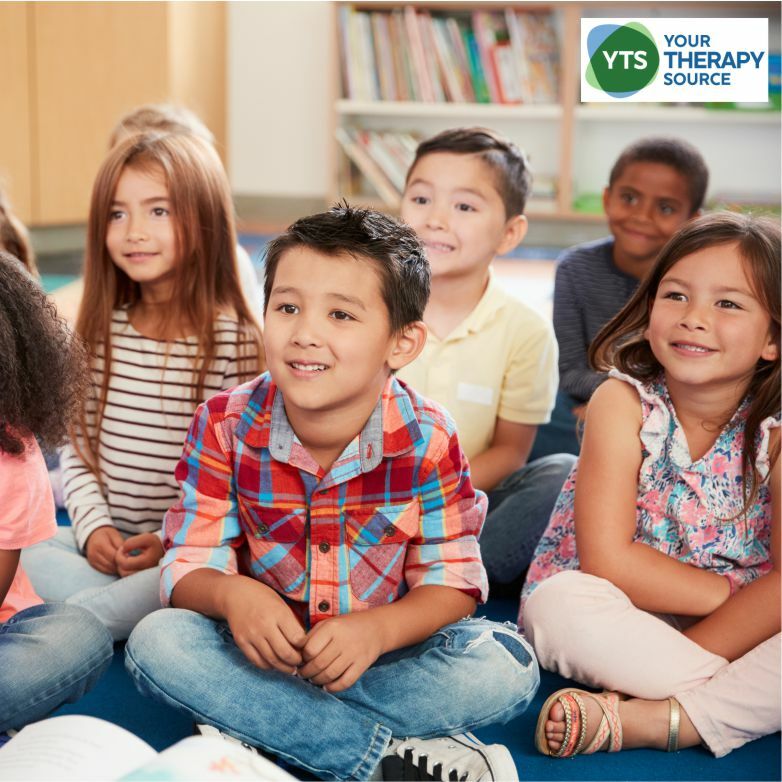 The researchers concluded that there is a wide range of interventions to help with improving self-regulation skills in children and adolescents. Improvements were noted in academic, health, and behavioral outcomes in most intervention groups compared with controls. If you need help teaching self-regulation skills to children, get more information on this Self Regulation Skills Curriculum. 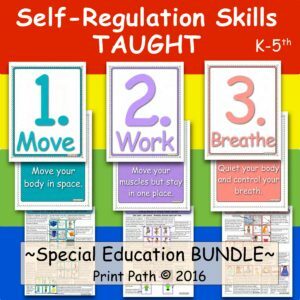 Self- Regulation Skills Taught: This curriculum provides an effective, time-efficient structured system to provide classroom breaks, improve self-awareness and self-advocacy and teach specific self-regulation skills so that kids have tools to use in their classrooms. This system will get kids moving, give them the benefits of a brainpower boost [from getting their heart rate up], give them heavy work and isometrics to help them calm down, and help them learn techniques to quiet and control their bodies in order to return to their academic work. FIND OUT MORE.